This post is sponsored by Saucy Fish Co. All opinions are my own. 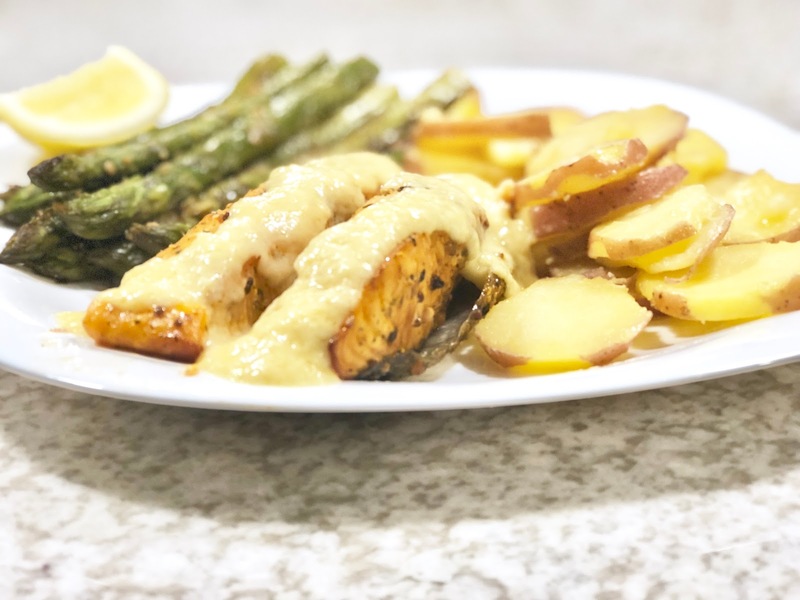 You’re in for a treat today because I’m sharing a quick and easy 30-minute recipe incorporating Saucy Fish Co. Herb-Crusted Salmon with Lemon Butter Sauce. That’s right—thanks to the convenience of the Saucy Fish Co. bake bags you can whip up in under 30 minutes with little oversight. 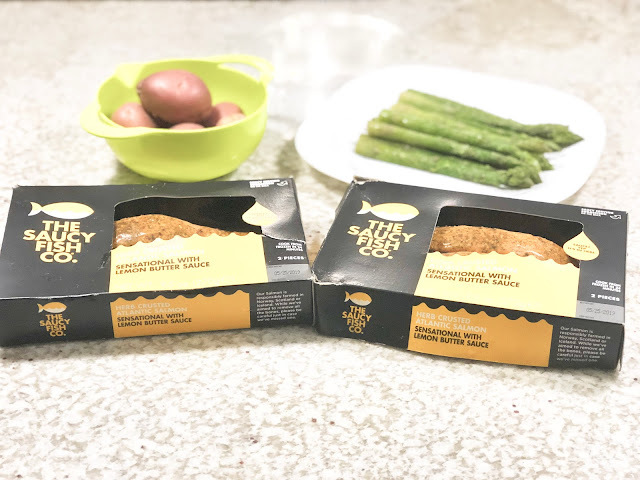 It's fish without the fuss! It’s perfect for a weeknight meal when you haven’t much time to spend in the kitchen. As a busy working mom, I love finding ways to cook quick meals. This meal is delicious and I’m not just saying that ...Normally, I’m not even a fish or seafood eater but I really enjoyed it. It was seasoned well, easy to make and healthy. I 10/10 recommend! 2.Open Saucy Fish Co. package. 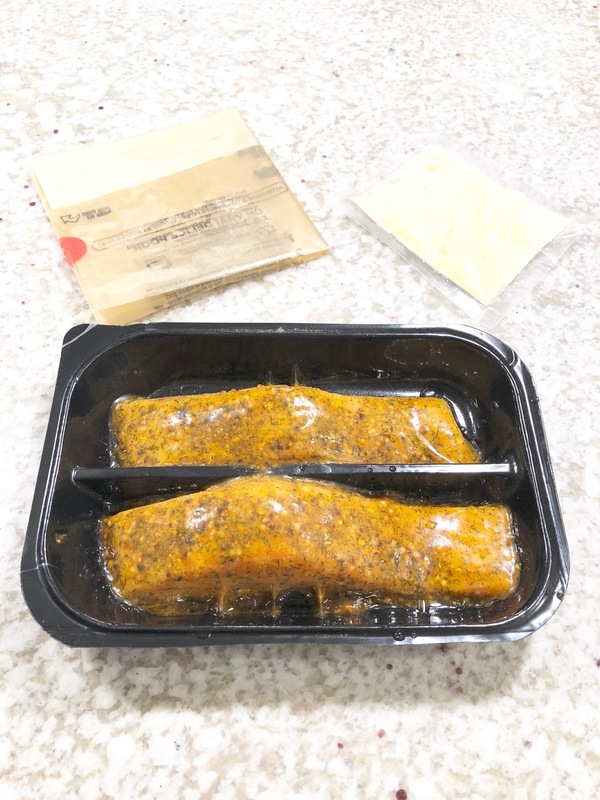 Take out the fish and place into bake bag, making sure to keep each piece of fish separate (not touching one another). Place on cooking sheet and into oven. Bake for 24 minutes. It’s that simple! 3. Rinse and slice potatoes. Add a tablespoon of minced garlic. Place in buttered pan, add a tablespoon of vegetable oil and cook for approximately 8-10 minutes. 4. Rinse asparagus. Add a tablespoon of minced garlic and a dash of garlic powder. Place in pan and sear with a tablespoon of vegetable oil for approximately 8-10 minutes. 5. Put a small pot of water to boil. When boiling, place Saucy Fish Co. sauce packet into the boiling water for 8 minutes. 6. Take fish out of oven and out of the bag with a spatula. Squeeze a slice of lemon onto fish, if desired. Pour the yummy sauce over the fish. 7. Add potatoes and asparagus to dish. If you cook this dish, be sure to let me know what you think! 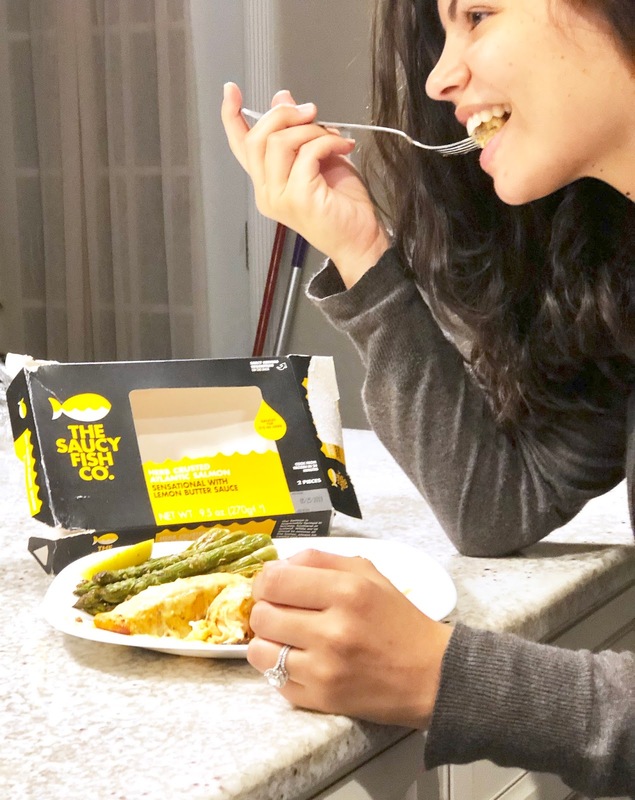 You can buy Saucy Fish Co. products on Jet.com, at Wholefoods, Publix, Mariano's, Meijer and Hannaford.